Welcome Virginia Optometric Association Members! SECO and VOA are working together to help you succeed. 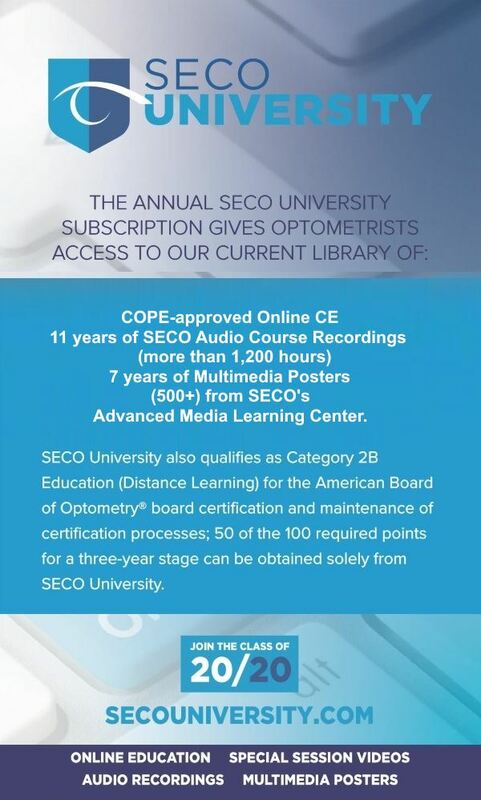 When you enroll in SECO University, not only will you have access to our growing library of online education, you will support your state association. When you subscribe at the $299 annual rate, a full 50% ($149.50) goes to the VOA to support it's yearly activities. With enough support from our member optometrists, this can represent a significant secondary income stream for our association. No matter how you look at it, it's a win-win for you and the VOA, while helping SECO continue to provide the finest education in the profession. No other online resource even comes close. Enroll Now - Your State Association Will Thank You!